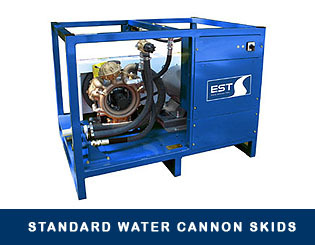 EST has extensive experience in design, installation, integration and service of custom wash equipment including high flow water cannon systems. Water cannon / de-mucking systems are used for wash down of heavy equipment and aircraft. Equipment can be fed from fresh water or recycled water. Reduce wash time and improve results with a high volume wash down system. Water cannon/ de-mucking systems can be integrated with wash rack systems. They can also be custom designed to any specifications and any site. 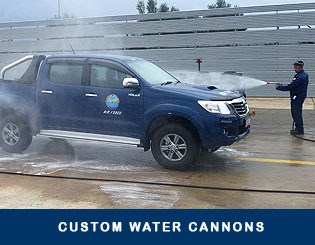 Water cannons can be custom designed to any specifications and any site. 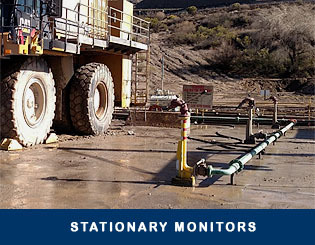 Water cannons may be designed as permanent stationary monitors as part of a wash system. 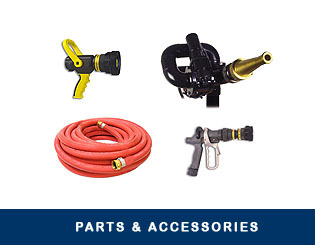 EST carries a complete line of parts and accessories for all your water cannon needs.